Punch of jewelry with the signing of the jeweler, in this case a signature 4mm long, the letter more large has 1mm high the rest only 0.5 mm. 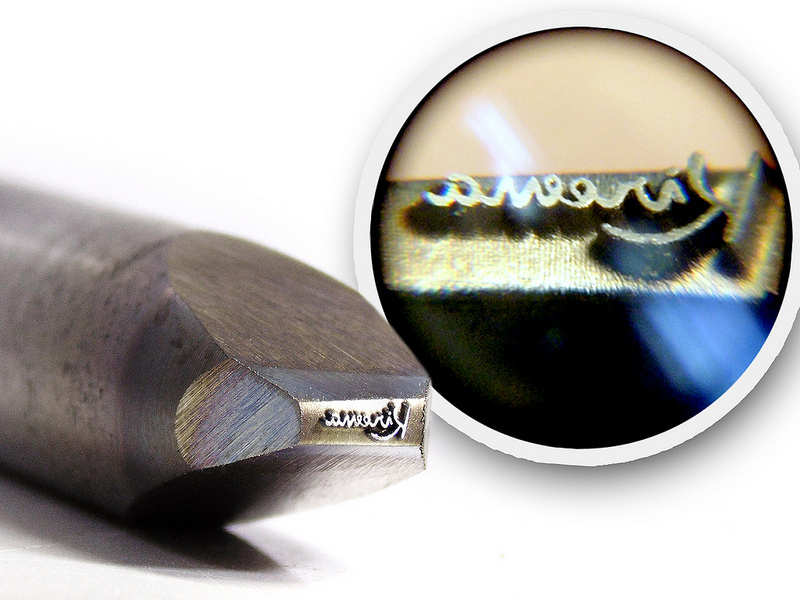 Omella Steel Stamps specialises in engraving of high quality jewelry punches. Engraving is done by last generation 3D laser machine and in cases that require it they get a unsurpassable minimum size, while maintaining the sharpness of the engraving. Signature or contrast steel stamp is carried out to the size required with the client. Is sent a full-scale engraving design before engraving to make the customer aware of how it will fit in their jewels.